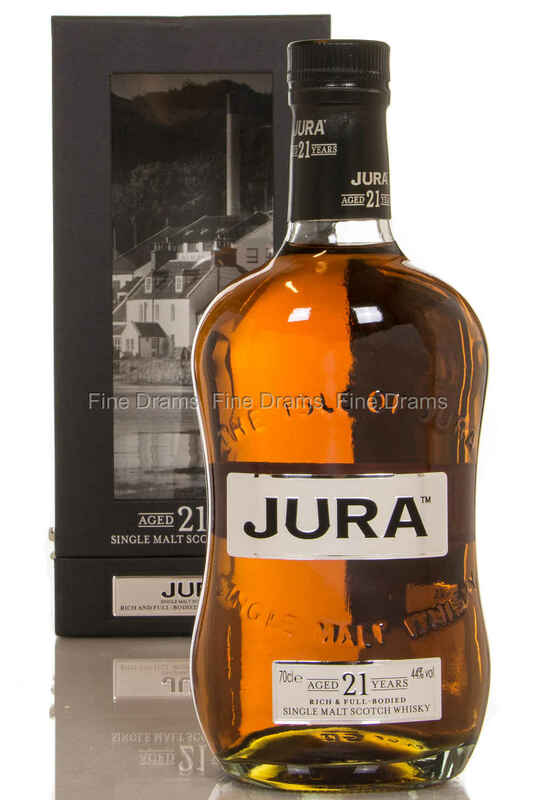 Released to commemorate the 200th anniversary of the Jura distillery, this 21 year old single malt is a true beauty. Specially selected casks and a sherry finish has given this a very rich character, with notes of decadent maraschino cherries, citrus and liquorice on the palate, and marzipan, walnuts and bitter chocolate on the finish, making for a truly fantastic dram. This whisky is bottled at 44% ABV and comes in a handsome box.